Xiaomi is offering a range of products on discounted price over partnered platforms in a three-day sale. The discounted Mi phones are available on Flipkart, Amazon, and Mi.com between September 27 to 29 from 10 AM. The best-selling products are on sale, which includes Redmi note 4, Redmi 4, and Mi Max 2 and this is a great opportunity for the buyers who are about to buy new Smartphones. Xiaomi is celebrating its grand success with over a million sales this festive season in Flipkart and Amazon sales. Xiaomi has discounted all products available on Mi.com and even the Mi A1 Android One Smartphone which launched recently is available at discounted price. The sale will continue on mobile phones and accessories which include Mi Band HRX Edition, Mi in-ear headphones, Mi power banks, and more. One of the exciting and limited sales will be available for newly launched Redmi Note 4 Lake Blue Edition. Mi members will be benefitted by the Special Reward Offers with discount coupons and F-codes. 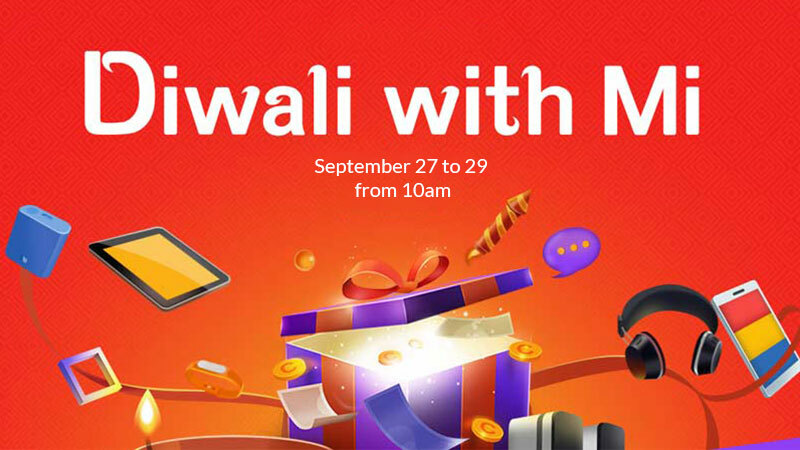 This offer will be valid only for Mi members and they can win exciting gifts on a daily basis during Diwali sale. Mi.com has many more exciting contests and flash sales available on Mi.com for three days. The Re. 1 flash sale is accessible at 11 am and 5 pm from 27 September to 29 September and an applicant can win the content by bidding at 2 pm and 6 pm. One more adventurous contest is the fastest finger first which will take place at 4 pm and the first who approaches the product will win the prize during this time. Some offers will also be available on e-commerce sites like Amazon and Flipkart during the festive season sale. There will be a huge discount on mobile phones such as Redmi Note 4 (4GB+64GB) will be priced at around 15% discount for Rs. 10999 from 12,999. Apart from this, users can also purchase the accessories on discounted price like Mi Router 3C at Rs. 899, Mi Air Purifier 2 at Rs. 8,499, and the Mi 10000 mAh power bank at Rs. 899.
good when mi 1 rs sale will get announce?